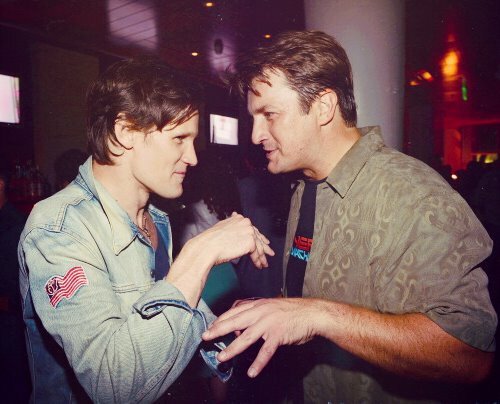 Nathan Fillion with Matt Smith at Comic Con 2012. Nathan keeps suprising me all the time with his awesomeness!!!. Wallpaper and background images in the Nathan Fillion club tagged: nathan fillion matt smith comic con 2012.